An updated guide to celebrating your birthday right. This is pretty much how the typical waterfront eatery operates, and places with that spin do just fine. 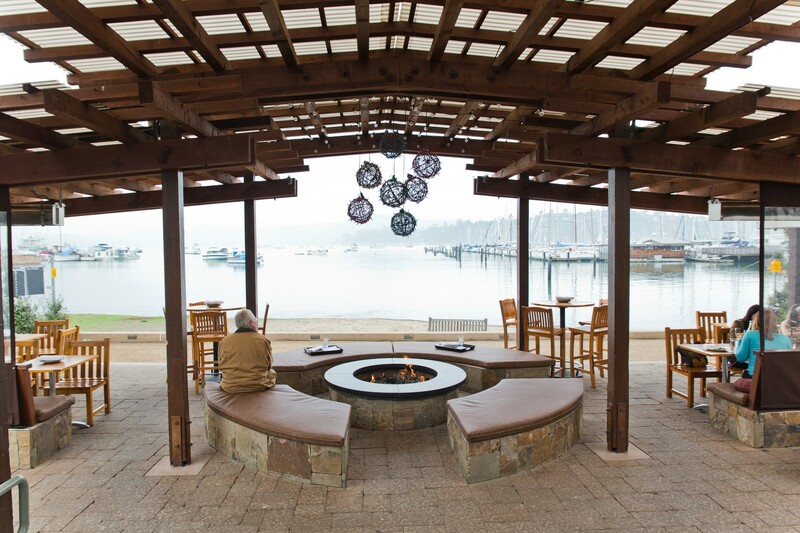 But Bar Bocce, an oceanside spot in Sausalito complete with fire pits, plenty of outdoor tables and a bocce court, bucks the trend and delivers top-notch pizzas and Italian small plates when they could easily get away with serving you semi-defrosted fish sticks. You may have ended up here post-wine bus or to day drink - and we respect that. But the food at Bar Bocce deserves to be treated more like a main event than an afterthought. Being that they don’t take reservations, Bar Bocce is known to get packed. But you can grab a drink and chill on the seawall while you wait- maybe check out the boats and a great view of Karl lurking over SF. The food will be worth your time, thanks to a roaring wood-fired oven that cranks out slightly charred pies with a crispy bottom and soft, bubbly outer edges. The pizzas are served on three-tiered towers, making it completely justifiable to order three. Or 18. Or 27. Really any multiple of three. Some of the other small plates deserve shout outs too, and throwing some in with an order of pizzas is probably the move since it’s likely you’ll end up here with a group. The only issue? Bar Bocce has exactly one restroom and there can be 20 minute lines. Maybe bring a pizza tower to help you pass the time. Booze, games, and waterfront real estate would sell themselves alone without the added draw of classed-up Italian bites, so A for effort, Bar Bocce team. We’d like to formally extend a thank you for that and for giving us another reason to head over the bridge and explore Sausalito. And for keeping the the popcorn shrimp in Bubba Gump’s kitchen. The almonds make this salad - they’re roasted and salty with a great crunch contrast to the veggies. Damn these are good. Tender and almost the size of a tennis ball, with a straight-out-of-grandma’s-kitchen tomato sauce (provided you have an Italian grandmother who makes a mean sauce). They also come as sliders, which is never a bad choice. These are passable, but the roasted snap peas with mint are better. If you want a straight vegetable plate, opt for the pea pods. Yup - do it. There’s gorgonzola, a healthy helping of prosciutto and sweet, chewy dates to mix things up. There’s arugula too so it’s practically a salad. Don’t feel bad. The caramelized onions and roasted garlic make this work, and Bar Bocce pays up for fancy mushrooms. Great call. We can’t escape kale and we won’t fight it, especially when it’s finely shredded and mixes well with pesto and creamy ricotta. Fish in Sausalito is serving up seafood good enough to convince your East Coast family to relocate. Sushi Ran in Sausalito has some of the best sushi in the Bay Area.